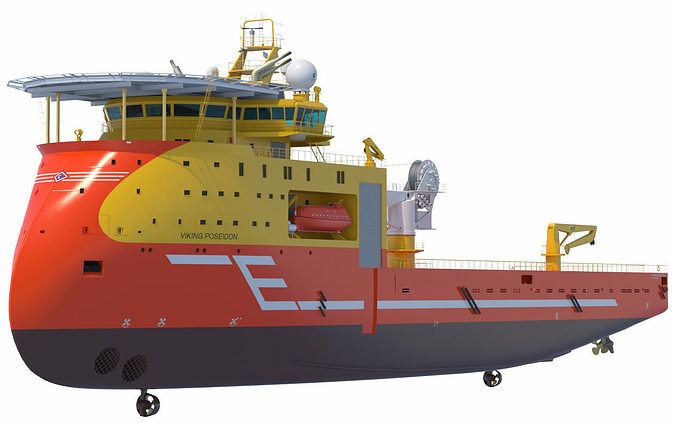 3D high resolution and fully detailed model of a Offshore Construction Vessel. Offshore Construction Vessel designed by UlsteinDesign AS with ULSTEIN X-BOW®. It is designed to meet the high demands of Sub-sea Construction and Equipment Installation (OCV); Inspection, maintenance and Repair (IMR); ROV Services in some of the harshest environments. Modeled correctly scaled, enough detail for close-up renders. Closed model, no holes or lost polygons. No double sided materials. Crystals have been modeled with volume for renderers like Arion or Maxwell. Fully UV mapped. 13 materials. 2 jpg textures. Texture map 6096 x 1214 px. Bump map 6096 x 1214 px.